The HDbaseT training course will focus on the HDBaseT Technology to include long reach-mode, multi-streaming and the differences between HDBaseT 1.0 and 2.0. Also to understand best cable practices when building a reliable HDBaseT installation, and an opportunity to review ATEN HDBaseT product ranges. Congratulations to our attendees who are now qualified as HDBaseT Expert Installers! Thank you to our customers who have attended the HDBaseT Expert Training Course and are now qualified as HDBaseT Expert Installer! 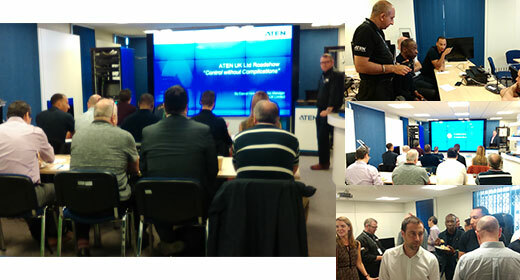 ATEN UK has set their third training and demonstration roadshow at their UK office in Slough. 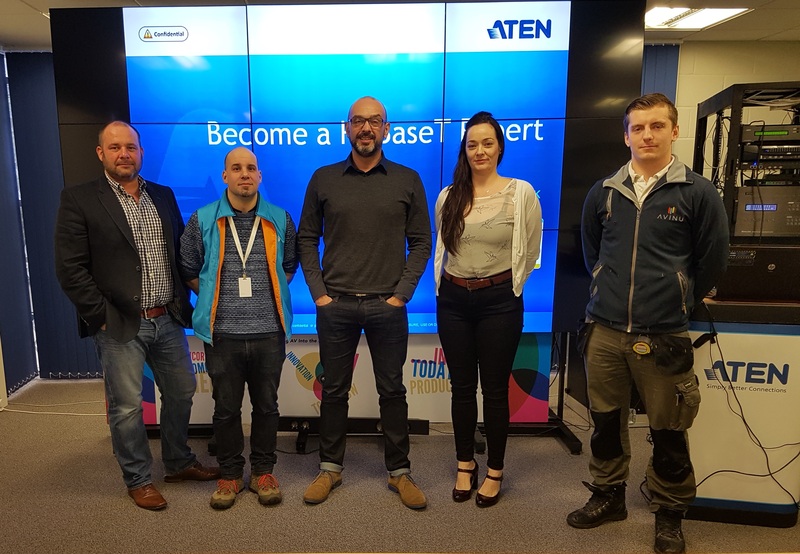 ATEN provided an overview of the all-in-one solution – the ATEN Control System, with an in-depth training on the ATEN Controller, Configurator and Control System App. Also, an opportunity to test drive the system. 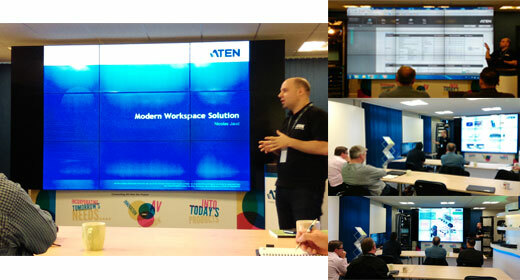 ATEN UK has brought together their second roadshow. This roadshow aims to help you to discover solutions for Modern Data Centre, as well as, various data centre solutions across a diverse range of verticals. 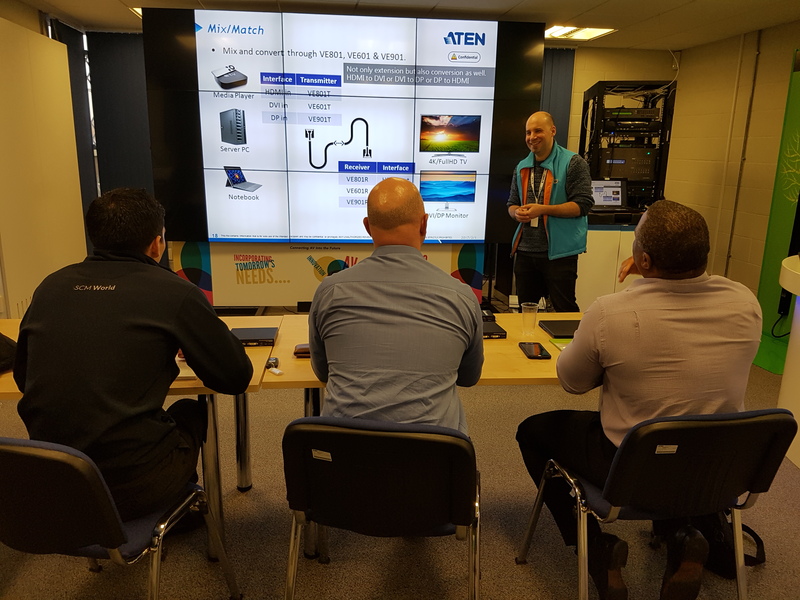 ATEN UK has launched their first A/V and IT connectivity management solutions roadshow, at their prestigious demonstration suites in Slough, UK. 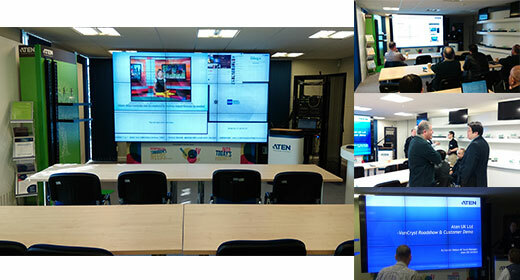 ATEN UK introduced their Enterprise A/V solutions such as the first control system, seamless video matrix and splitter.